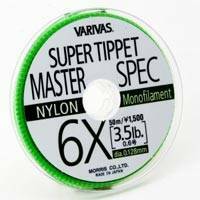 VARIVAS® is a Line, Leader and Tippet Specialist so; invest their resources to improve the quality of their materials. Their unique manufacturing process increases the relative line density making softer and more abrasion resistant materials that offer higher breaking strength per line diameter. 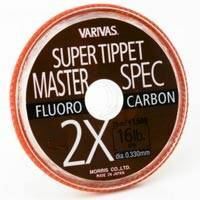 VARIVAS® Super Tippet materials are high performance, extremely strong and very flexible due to the VA-G Non-Stress Coating. They are abrasion-resistant, water-resistant and have a low memory. VARIVAS® makes a perfect line match between Leaders and Tippet; this has been achieved through the co-development of materials and offers the fly-fisher an ideal solution to most fishing situations. Thanks to their unique manufacturing process VARIVAS are able to increases the relative line density making softer and more abrasion resistant materials that offer higher breaking strength per line diameter with far less memory. With the new UV and waterproof packaging you can be sure that your tippet will be in the best condition possible when you open it.